Holy moly! Elvis Presley's grandson looks identical to him! 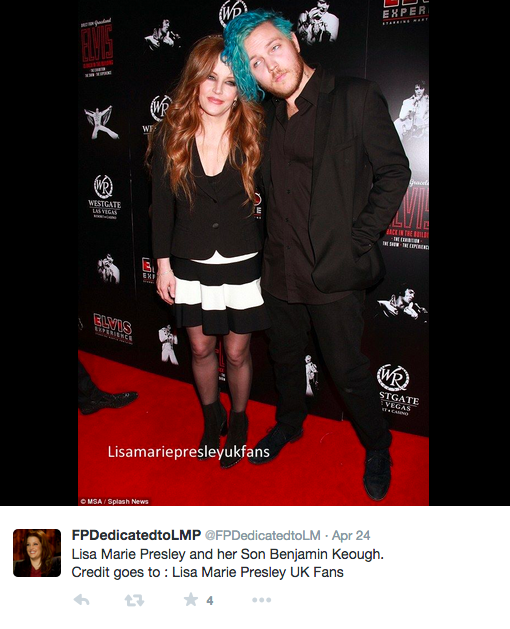 Benjamin Keough, the son of Lisa Marie Presley and grandson of Elvis Presley, is rarely photographed. But after pics appeared online of him at an event over the weekend, we can see he is the spitting image of his famous grandfather! He stepped out for a red carpet event in Sin City, aka Las Vegas, on Thursday night for the opening of The Elvis Presley Theatre at the Westgate Las Vegas Resort and Casino. 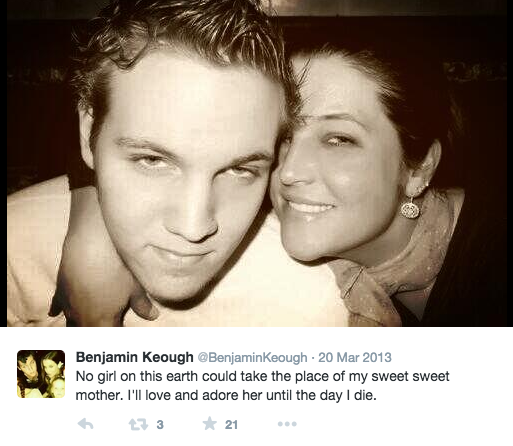 Benjamin, 22-years-old, is the son of Lisa Marie and her ex, Danny Keough. The pair also have a daughter, Riley Keough. Meet the kangaroo who thinks he's a dog! Adorable French Bulldog puppy learns adorable tricks!